Top 10 Bridal Makeup Artists in Mumbai to look out for! A smart bride-to-be knows that to get her dream bridal look, she’ll have to look for the best bridal makeup artist in town. Because that right team of fashion and beauty experts have the power to completely make or break her dream bridal look. If you are a bride-to-be who belongs from Mumbai, then you are in luck. You’ll be spoilt for choice with all the extremely talented makeup artists in Mumbai. But these choices can get overwhelming too at times. So, if you are confused with which makeup artist to book for your wedding, don’t worry as I’ve done the research for you. I have compiled a comprehensive list of the top bridal makeup artists in Mumbai you may consider booking an appointment with for your big day. So, chin up Mumbai brides-to-be, as they’ll ensure all your daydreams about your D-Day will come true! Best known as Alia Bhatt’s makeup artist, Puneet made the headlines recently because she was Anushka Sharma’s secretive wedding makeup artist in Mumbai. So, it’s beyond doubt the looks she creates are flawless, perfect and one that maintains the natural beauty. 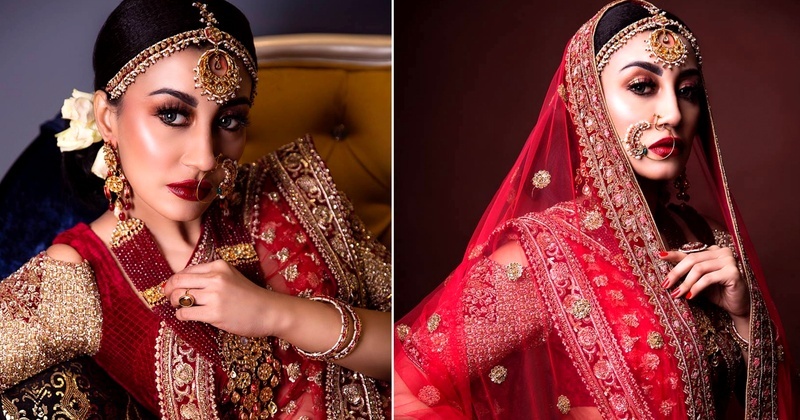 One of Bollywood’s famous celebrity makeup artist and Sonam Kapoor’s go-to, Namrata Soni’s hands create magic weather be it for a bridal look or a fashion shoot. A professional through and through, she never leaves her customers disappointed! A MUA that needs no introduction, Cory Walia has been working his magic with make-up for over 25 years. An important part of Lakmé's bridal dream team, Cory is famous for giving his brides, dream makeovers for their D-days, definitely should be a priority in your list of makeup artists in Mumbai! Famously known as the makeup artist who did Aishwarya Rai’s makeup on her wedding day, Mickey Contractor needs no introduction. MAC’s Director of Makeup Artistry for India and Bollywood’s go to MUA he’s known to give dream makeovers to all his muses. Arshis Javeri is an international makeup artist from Mumbai who specializes in bridal makeup and has been a trainer for professional make-up courses. Trained in Dubai and London Archies can literally create magic with his brushes. Jharna Shah is a bespoke makeup artist with an expertise in fashion and bridal makeup. She is she is famous for her attention to detail she puts into her bridal makeup looks. She also owns Jharna Shah Makeup and Hair Academy which is one of the top names in the makeup and hair industry in Mumbai! Famous for being Aishwarya Rai’s go-to MUA, Ojas clientele also includes the likes of Sonam Kapoor, Deepika Padukone, Katrina Kaif and more. She brings together a mix of 20 years of experience and current global trends while reimagining makeup possibilities. Also, her eye makeup and hair do’s are to die for! With over 30 years of experience, this duo also has their own cosmetics range specialising in Indian skin tones. Their inborn desire for art and beauty has elevated them to the top position, making them a master of this craft and hence also makes it to our list of the most sought after makeup artists in Mumbai!